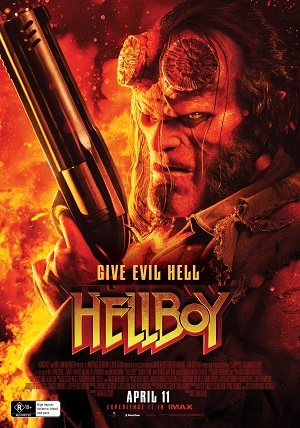 A visually spectacular and gloriously violent reboot, Hellboy struggles to differentiate its “end-of-the-world” storyline from so many others before it, although David Harbour’s excellent turn and Neil Marshall’s go-big-or-go-home direction saves the film from the bowels of monotony. Hellboy features blood thirsty giants, man-sized vampire bats, the creepiest witch to perhaps ever scare the screen, and enough dismembered corpses to fill a football field. Yet why does it all feel so familiar? After years of watching various comic-book movies deal with “end of the world” scenarios featuring a villain summoning a whirlwind of destruction, it is quite maddening to see a film like Hellboy copying convention instead of standing apart from the pack. This beast needed be set loose, yet rather stock writing refuses to let it do so. Directing is Neil Marshall (The Descent). It is indeed a big task for any filmmaker to replace the void left by previous franchise director Guillermo Del Toro. To Marshall’s credit he does a very commendable job in doing so, with a larger than life approach to building a world of monsters, spirits, ghouls, and the many “heroes” tasked to combat this threat. The action set-pieces in Hellboy are all consuming, colossal affairs. One sequence in which Hellboy battles a trio of man hungry giants epitomises the potential of Marshall’s big, bold and bloody approach to filmmaking when backed with the right budget and resources. Key among them is make-up designer Joel Harlow (Star Trek), whose creature design work in Hellboy is frightening, innovative and truly mind blowing. VFX houses Mr.X, Rhythm & Hues, Rise FX and Worldwide FX suitably compliment Harlow’s work. Harbour proves to be a fine replacement for Ron Perlman, stamping his authority on a character struggling to not succumb to the devilish aspects of his nature, constantly keeping himself in check as a defender of humanity as opposed to its destroyer. Ian McShane is suitably gruff as Hellboy’s adopted father and mentor. 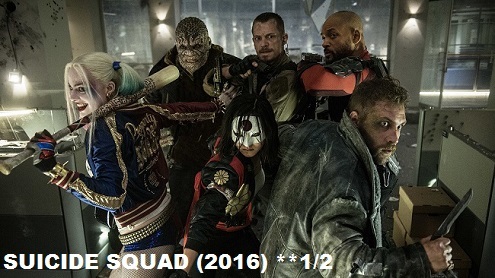 Milla Jovovich does what needs to be done as the stock “bringer of doom” villainous. This brings us to the anchor that stops Hellboy from flourishing into something spectacular: the constant need to play it straight with the typical superhero rules of engagement. 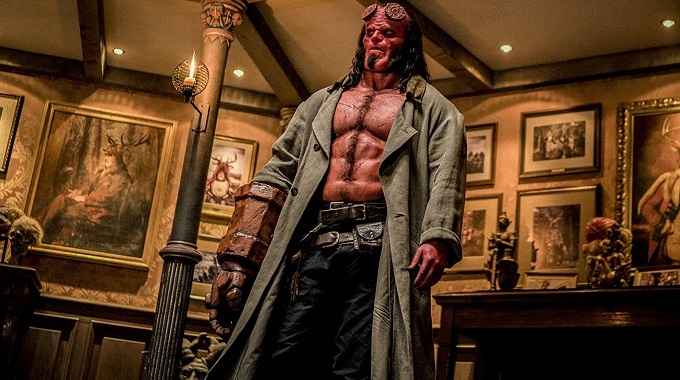 In a market submerged with comic book movies, Hellboy had the opportunity to stand outside of the pack as a grizzly, bloody, horror action-adventure tale, that could and should have given the middle finger to the genre, just like Watchmen and Deadpool did beforehand. Yet much like the character himself, Hellboy suffers from an identity crisis that plays it safe story-wise too many times. If a sequel does eventuate, here is hoping that this shackled beast embraces more of its rebellious, mean spirited nature.